Organisations are now resorting to artificial intelligence to enhance their search engine ranking. Search engine optimisation (SEO), which is an important criterion for gaining traffic, has a tremendous scope to be improved by AI and machine learning — and not just for keywords and phrases. AI algorithms can help make better sense of parameters like search history, browsing history, activities within a website, and others to deliver a better experience. 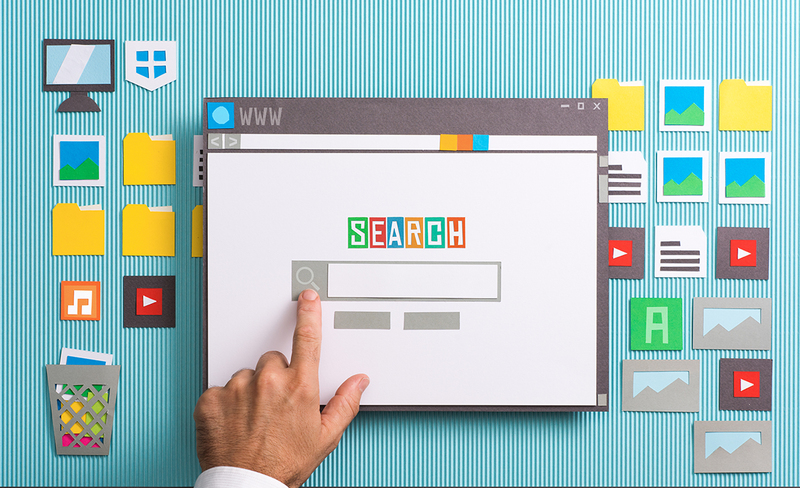 Since the time when SEO meant a simple optimisation of landing pages on desktop, to the present day where it indulges in more complex processes of enhancing content and engaging audience on various platforms, SEO has been a game changer in the online world. SEO gained importance when Google revealed that they used RankBrain, an ML algorithm, to process their search results in a unique way. Launched in 2015, RankBrain is one of the most important components that Google relies on for ranking web pages. Refining Data And Creating Insights: Search engine marketing is all about number crunching. Here, the use of analytics and AI can ease the human efforts and maximise the usefulness of data. As there is a lot of data available, AI can help make informed decision out of noisy and unstructured data, eventually helping in areas like market trend analysis, site performance analysis and SERP performance, among other areas. AI can also enable a more refined search thereby yielding better search ranking results. Publishing High-Quality Optimised Content: AI allows to identify content opportunities and have balanced content which focuses on both delivering good search results as well as catering to the user. An attractive user engagement can be ensured on websites, blogs, video, etc. using AI. Automation: Being a labour-intensive industry, SEO requires a huge amount of attention for tasks such as keyword research, content optimisation and technical audits. These processes could be automated using AI, saving time for strategising or creating unique content. Personalisation: AI lets users create personalised content aimed for individual customers. It can be an integral part of the process as an artificially intelligent system could use the user data to generate search result based on historical data. Have A Competitive Edge Over Others: By making the site easy to navigate, featuring high-quality links, developing a responsive design and exceptional user experience, you can have a competitive edge over others, thus showing better SEO-based performance. All of these could be achieved by having AI in place. While Google is ambitiously working towards being an AI-first company, which is evident from the announcements made by the company in the recently held I/O conference, the company is also using AI to make search more human. The same applies to its SEO game. As Google has to deal with a lot of content available online, it must opt for some mechanism to rank landing pages. Complex ML and AI algorithms come to a rescue here which helps them consider factors like content, external link, among others to decide the page ranking. It also takes into account other factors such as bounce rate, CTR, long clicks, among others. The much popular RankBrain learns continuously from the data collected through user engagement enabling it to deliver better results each time, as it listens and learns from these experiences. In one of the articles by a senior research scientist at Google, he shared that RankBrain uses AI to embed vast amounts of written language into mathematical entities, called vectors that the computer can understand. “If RankBrain sees a word or phrase it isn’t familiar with, the machine can make a guess as to what words or phrases might have a similar meaning and filter the result accordingly, making it more effective at handling never-before-seen search queries,” he said. In a nutshell, RankBrain analyses keywords against searches to let Google know what type of end results a web user is looking for. Google can then use that data to rank the relevancy of web pages concerning those keywords. In our earlier article, we have discussed in detail the other approaches in ML that Google is making use of in SEO. It also highlights some of the limitations that RankBrain had. There are many AI-based tools such as Google Analytic, SEMrush, SEO Powersuite and Muncheye that can help achieve better SEO results. The other way is to invest in purchasing a multi-million-dollar supercomputer to get into powerful SEO building using artificial intelligence. Either way, the introduction of AI in search engine optimisation is an interesting area but it cannot be the ultimate answer to all the challenges. It surely takes the load off by performing bulk data analysis but still requires human intervention to generate a quality content. Also Read Humans Vs Bots: Why Has It Become So Damn Difficult To Sift Real Users From Fakes?